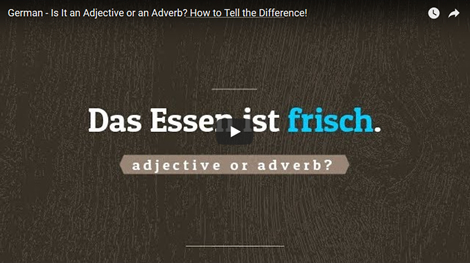 Did you ever wonder what the difference is between a german adjective and a german adverb? After watching this video, you will always be able to distinguish them! Quick shot of German Grammar! Today we are talking about funny German words! And when I say "funny", I mean German words, that have funny different meaning in an other language! And they're funny, because they can easily cause a misunderstanding or a very awkward moment between two people of a different origin. 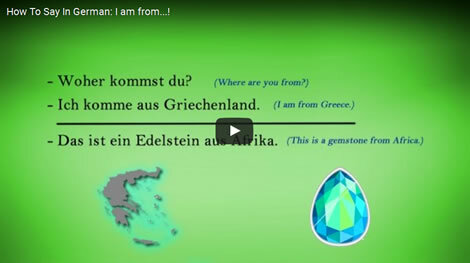 Most probably, you already know that I am Greek, so I will choose German words that have a funny meaning in Greek!